The positron for example has the same mass as an electron but it has a positive (+) charge whereas and electron has a negative (-) charge. When a particle and its antiparticle meet each other they annihilate each other. Their mass is converted into energy in the form of photons. This is an example of mass being converted into energy but it can also work the other way around with energy being converted into mass. High energy photons can produce a particle and its antiparticle, this is called pair production. Example; A gamma photon with enough energy can produce an electron and a positron. Electromagnetic radiation (like gamma rays, x-rays and visible light etc.) have wave properties and they can also behave as particles, these particles are called photons. 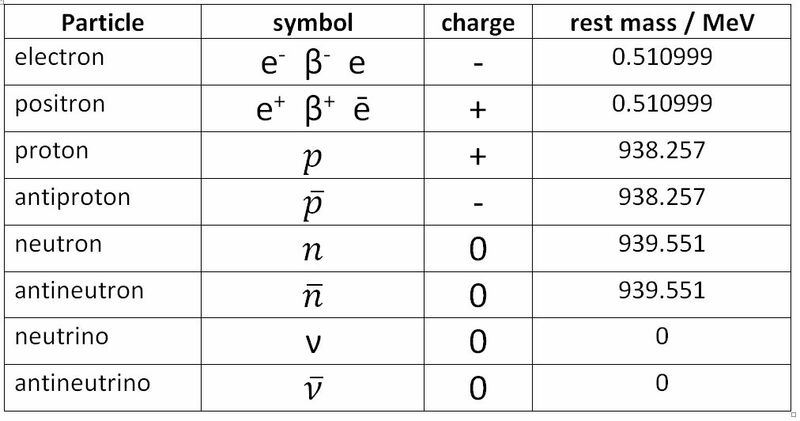 The energy (E) of a photon depends on its frequency (f).